large and deep spring cleaning! Doing spring cleaning on your own is almost an impossible task. It requires hours (or even days!) of hard work requiring cleaning every surface, every gap in your house, wiping dust everywhere, washing windows and many other boring and time-consuming household chores. Fortunately, there is a solution, helping householders in Washington area every spring. Crystal House Cleaning spring cleaning service is a convenient and amazing possibility to tidy your house up from the top to the bottom. Spring cleaning that Crystal House Cleaning Company offers is one of the most deep cleaning services that you can have. We understand that after a long winter it’s time to tidy up thoroughly and consistently, and our professional cleaners are really enthusiastic at this time! They are eager to help you let your house through the fine sieve, cleaning every single inch of it. Spring cleaning makes your house prepared for hot holiday season, when the nature renovates. Spring cleaning is essential for every family, and Crystal Cleaning make it as affordable as possible. You will be amazed with how actually cheap it is, for such a bright and shiny result. We guarantee that you will love your new, cleaned up house and spring will become your favorite season! 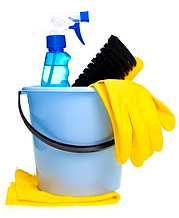 All you need to do is to contact our operators to order a complete and thorough spring cleaning today! Also you shouldn’t miss the opportunity to book the spring cleaning, preparing for this wonderful season in advance.